Spanish jazz guitarist and composer Oscar Peñas makes his Metropolitan Room debut playing his unique style of music that has been described as "transnational cool," fusing traditional jazz with hints of flamenco and South American grooves. 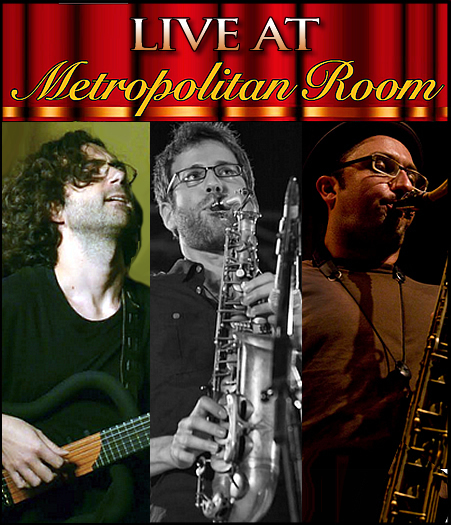 Uri Gurvich is a saxophonist and composer originally from Israel, currently residing in New York City, where he is an in-demand saxophonist and a critically acclaimed bandleader and composer. Petr Cancura’s musical pallet is as wide as it is. A saxophonist with knowledge of Jazz, Balkan, African and American folk traditions, Petr performs on banjo and mandolin, all of which influences each other into a Roots Song & Improvising music machine with a visual sensibility.